Since 1985, Brent Eastman has been committed to providing superior insurance products and services to the Monterey, Santa Cruz and San Benito County regions. BEI is one of the largest employee benefit brokerage firms in the Central Coast area. BEI is an independent insurance brokerage specializing in employee benefits and was established in 2005. This independence and local ownership provides immediate decision making authority that enables our firm to provide a high level of service to a diversity of clients. BEI currently manages over $20 Million in annual employee benefit program expenditures. 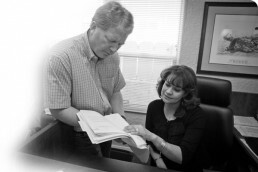 BEI has always formed partnerships with area businesses. Our planning process includes cost and benefit analysis along with “field” support to communicate those solutions to management and employees. This process is ongoing and permanent. BEI is focused on the agricultural, technology, construction, health care, Non-profit, Bulk Fuel industries. Offering benefits to employees will attract a higher caliber of worker and make the company more successful and more profitable. BEI is committed to offering the best possible service at the best possible price. BEI has developed an “elite” relationship with the core carriers offering health plans in the tri county region. At the core of BEI’s Client Services is 54+ years of experience working with medical groups in the Salinas Valley. BEI’s business philosophy is to provide a high level of personal service to our client’s and their employees. Attend enrollment meetings and explain the Plan provisions to employees. Coordinate regular education meetings with the employees regarding the importance of utilizing contracted providers and to assist them with the critical understanding and appreciation of their health care options. 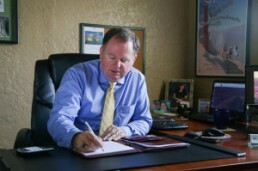 It is our goal to answer any employee questions and address any employee concerns. Mari Quintero, Claims Service – Field Manager: Mari is bilingual and was a claims examiner with UABT – Salinas for seven years. Provide employer support with any employee claims, payment, eligibility, or COBRA issues. Review claims when needed along with making the necessary contact with the carrier’s claims department and / or medical providers to obtain the relevant information needed to confirm or deny coverage. 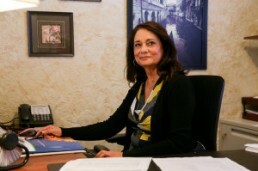 Angie Solano, Vice President: Angie is bilingual and has thirty years experience in managing Health Plan Claims. Angie was manager of Pan Pacific Benefits for over a decade. Coordinate the claims process with the carrier’s claims department and / or medical provider. Audit large claims to confirm proper provider billing (i.e. Medicare vs. primary coverage) and claims processing. Audit large claims to confirm all claims are paid at 100% after the stop loss is reached.